For most people, shopping for a home means shopping for a mortgage - a process that can be intimidating even for the financially savvy. When you shop for a home, you can choose to find the property first and then nail down the financing, but there is another, and potentially better, way to approach the financing puzzle. Pre-approval allows you to qualify for a mortgage and determine exactly how much home you can afford to buy. Getting pre-approved for a mortgage has a number of important advantages, some of which are outlined below. Shopping with a pre-approval letter in your hand gives you additional negotiating power, especially with a motivated seller or an owner who has been burned before. Nothing is more frustrating to a seller than accepting an offer only to find the buyer cannot obtain the proper financing. By getting pre-approved, you reassure the seller that you have the financing needed to back up your offer. Setting a realistic housing budget is important when buying a home. Buying more home than you can afford is a recipe for disaster, but it can be hard to know what that limit really is. When you go through the pre-approval process, the bank or mortgage broker will carefully examine all aspects of your finances, from reviewing your past tax returns to verifying your current income. They will then use that information to determine how much you qualify for, and give you a pre-approval letter to help you get started. Few things about buying a home are simple, but pre-approval gives you one less thing to worry about. Instead of fretting over the mortgage application process and worrying about whether or not you will qualify, you can focus on choosing the right home. Getting pre-approved will also make working with the real estate agent a lot easier. If you are pre-approved for a $150,000 mortgage, the real estate agent will not waste his or her time (or yours) showing you a $300,000 home. Focusing on houses in your price range will make shopping easier - and faster. The process of qualifying for a mortgage can be a difficult and intimidating one, but it doesn't have to be. 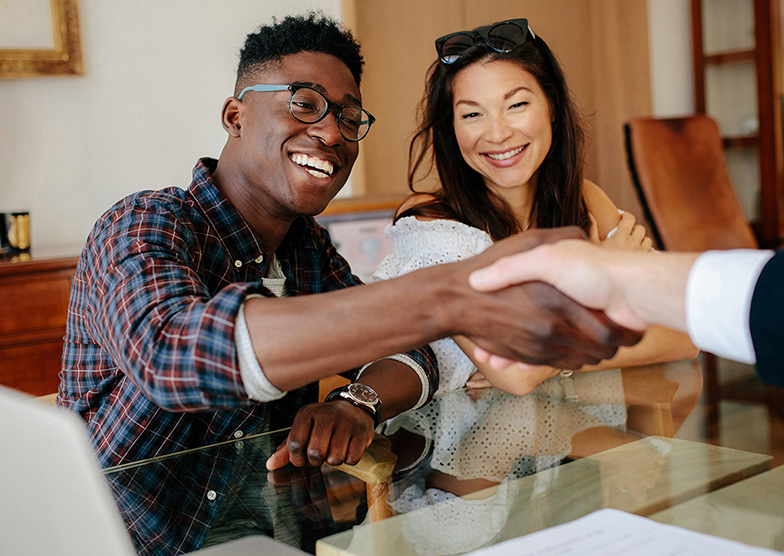 Getting pre-approved for a mortgage will make every aspect of the home buying process, from negotiating with the seller to establishing a realistic housing budget, a lot easier. Buying a home is a difficult and sometimes intimidating process, and finding the right loan can be one of the hardest aspects. Shopping for a home loan is quite different from financing a car or other short-term purchase. After all, you will be living with the consequences of the decision you make today for the next 15 to 30 years. Whether you are in the market for your first home or looking for a larger property for your growing family, there are some things you need to know when shopping for a loan. Here are some practical tips you can use to get the best financing for your new home. If you do not yet know your credit score, getting it should be your first step. Until you know your credit score, you have no way of knowing where you stand or what kind of rate you may qualify for. Getting access to your credit report and credit score is easier than ever before. Many credit card issuers now print the score right on their statements, so the information may be closer than you think. If your credit card company does not provide that information, you can get it easily, and inexpensively, by contacting the three major credit reporting bureaus - Equifax, Experian and TransUnion. Even if you are not a regular reader of the Wall Street Journal or Barron's, it is a good idea to check a recent issue. The financial press can provide a host of useful information, from the current level of interest rates to future trends. Knowing the current state of the economy and interest rates can help you find the right financing for your new home. If interest rates are expected to rise shortly, locking in a low rate today could save you a lot of money. If rates are expected to fall or stay the same, you can afford to wait as you ferret out the best deal. As with any type of financial decision, shopping around is likely to yield the best results when it comes to getting a mortgage. Expanding your search to a wide variety of financial institutions, from independent mortgage brokers and large money-center banks to local credit unions, is essential if you want to get the lowest interest rate and best terms possible. Shopping around is important, but you can still start with your own bank. If you have a long history with the institution, you may be able to get a great rate based on your past history of financial responsibility. You can then use that mortgage rate as a benchmark, comparing it to other competing offers as you shop around. Financing a home is not an easy process, but doing your homework and knowing how to prepare can make it simpler. The tips above can help you get the best mortgage for your money and the best deal on the home of your dreams. One of the more unusual fallouts from the housing crisis has been a rise in the number of cash sales. As property values plummeted, anxious investors were there to scoop up the bargains, and they often did so with cash in hand. You do not have to be a real estate investor or house flipper to benefit from paying cash. Cash sales have a number of important advantages for both buyers and sellers, including the following. Many buyers have been burned before, and they worry that the financing will fall through at the last minute. When you buy with cash, you reassure the seller that the money will be available. That reassurance can give you additional negotiating power and possibly a lower price. Since there is no financing to deal with and no worry about the sale falling through, the property owner may be willing to cut you a better deal. Buyers who purchased their homes at the height of the housing market quickly learned the danger or adjustable mortgage rates. Homeowners who had been paying $1,000 a month on their mortgage suddenly saw their monthly payments spike to $1,500 or even $2,000 or more. While the recent housing crisis was an unusual event, anyone who takes out an adjustable rate mortgage is subject to the same dangers. When you buy with cash, you free yourself of this danger. Since there is no mortgage, you do not have to worry that a sudden increase in rates will send your finances into a tailspin. This alone is sufficient reason to consider a cash sale. For most people the mortgage payment is their single largest monthly expense. If you take out a mortgage when you buy a home, you resign yourself to decades of those monthly payments. When you pay cash, you free up the money you would have spent on the mortgage for other things. Whether you put the money in your retirement plan, use it to fund a college education for your children or treat yourself to a new car, you will have more money to work with. You have a lot of decisions to make when buying a home, from where you will live to what kind of floor plan best suits your family. The financing decision is just as important, and there are compelling reasons to forgo the mortgage process altogether and pay cash instead.